Submitted by lynn on Wednesday, June 21, 2017 - 2:26pm. 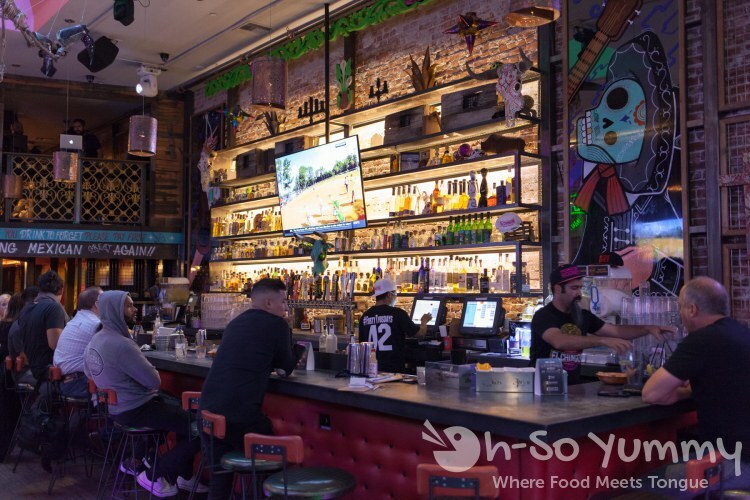 The night was still young on this Taco Tuesday and a small party of ladies (plus Dennis) arrived at El Chingon, a new and eclectic Mexican restaurant in downtown San Diego. Believe it or not, we had JUST finished an influencer pairing at Meze Greek Fusion and were ready for part two of the evening! 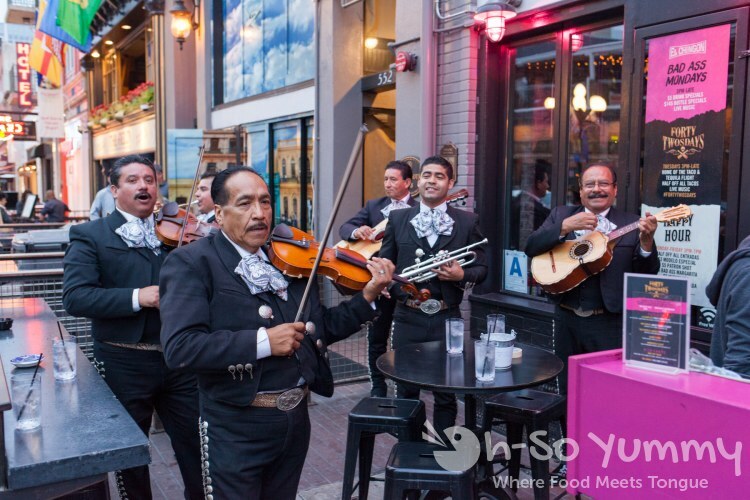 A mariachi band serenaded guests right outside the door and our smiles broadened as we walked to our table inside. Laughter errupted as we read the sign on our table - "Reserved - This ain't your table ese". It was a must-have in the chips and salsa pic and just the first snapshot of badass-ery running amuck in this bar. Additional phrases on the wall added more fuel for thought. 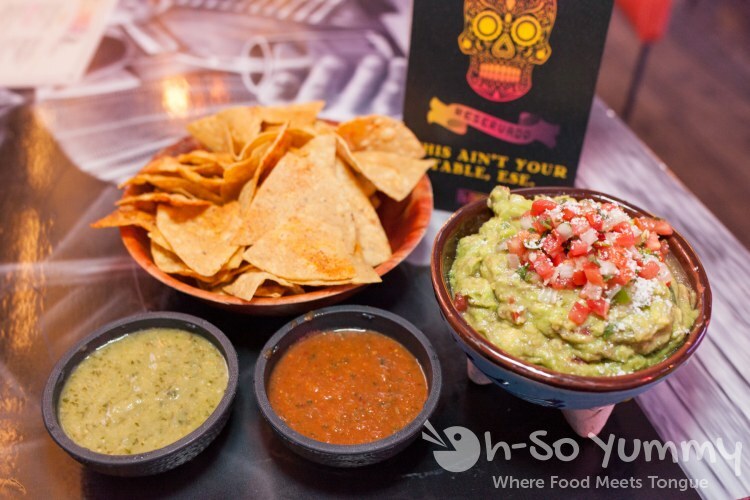 Meanwhile, the two fistfuls worth of guacamole were lightly limed and salted. The creamy texture was punctured with avocado chunks and topped with tomatos and onions. Lucky for us, the mellowed onions didn't overwhelm the rest of the ingredients. I forgot to sample the salsas in my excitement. I've never seen mexican corn fanned out in THIS way! It was quite brilliant to keep my lady-like table manners in play! 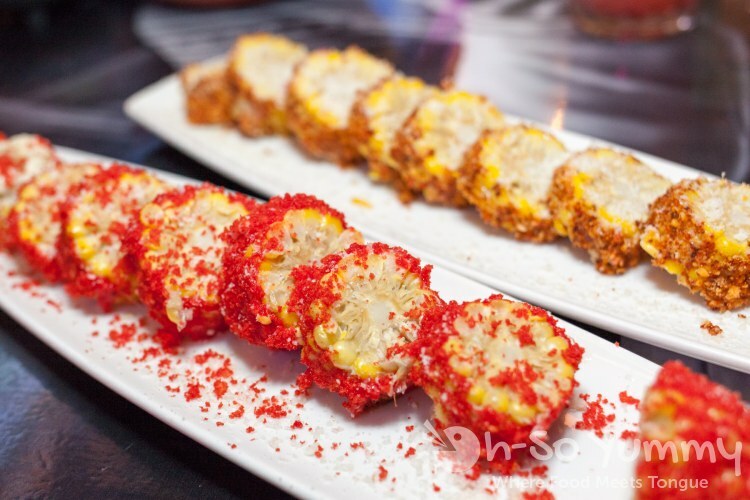 The top corn cob was Tajin-based but caked up a bit too much, making it overly salty in some areas. The bright red splash of the other was due to flaming hot cheetos! I timidly took a bite and was surprised at the mildness. Mostly I tasted the sweetness of the corn, a bit of that gritty cheeto, and a tad bit of "flame". Even non-cheeto fans might be pleasantly surprised on the taste. While I was busy munching on corn, Dennis explored his way around the restaurant. Upstairs they had a decent sized loft where the DJ spun. Can you see our table from the top? A large bar gave patrons extra motivation to move it and shake it! I heard this spot got packed on the weekends! Drinks were a perfect start of any Taco Tuesday. My favorite was the sweet and salty watermelon on the right while Dennis loved the jalapeno infusion of the middle drink. The last drink was the standard margarita but it became extra salty as the salt rim melted. 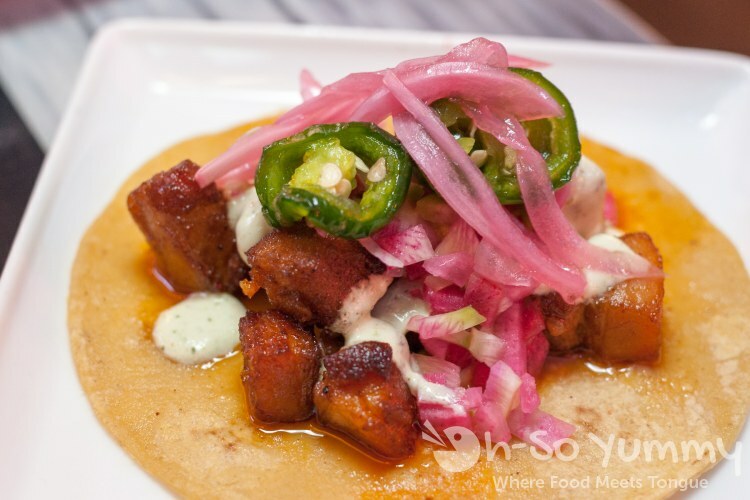 The chef was still experimenting on potential tacos of the month and this bad boy with pork belly was ours to savor. The surprise was the jalapenos, sugared at the beginning but leaving some residual heat after the sweetness melted away! The meat was porkilicious with grilled edges though we'd propose bigger slices for more fatty tender meat. This or something similar might show up on the menu in the future! 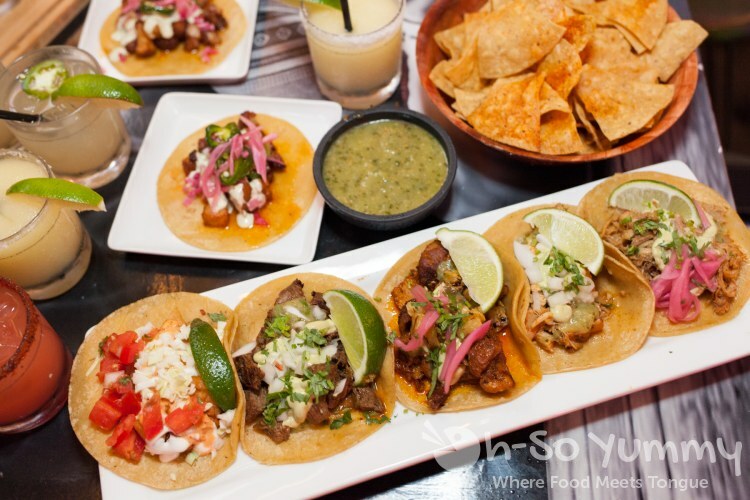 On Tuesdays, these five tacos are under $10! My favorites were the fish tacos which kept their crunchy batter intact underneath a great white sauce and the carne asada tacos with a nice oiliness and easy chew. The carnitas taco was a mouthful of meaty shreds amid pickled pink onions. We thought the chicken was a bit bland and the al pastor could have been a little more tender. OMG. So. Much. Food. Remember how we had eaten just an hour prior? I still crushed 90% of those tacos while Dennis made it through 50%. After meal activities? 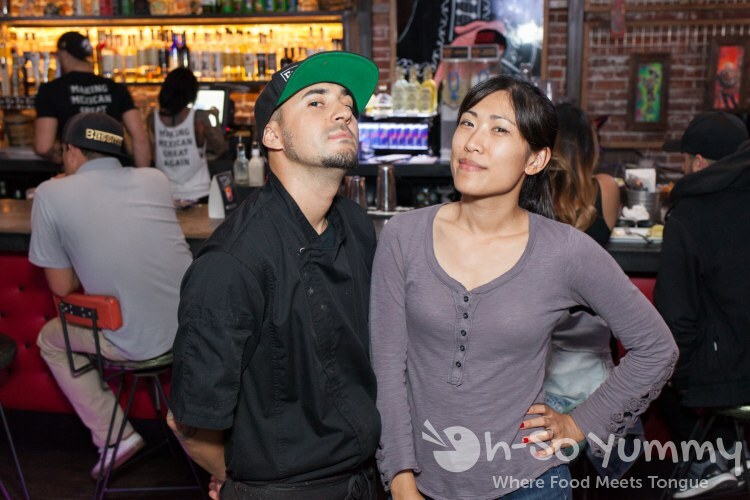 Time to strike a pose with the Executive Chef Anthony Porras! He was such a natural at the 'badass' look compared to me! A giggle was about ready to bust my attempts to be 'serious'. Looking at the menu, they had some very unique items. One in particular was a tequila cocktail drink for $2,500 which included a trip to Mexico! Another was a package for exclusive Don Julio tequila for $400 that included all you can eat tacos for four within a 2-hour time frame! 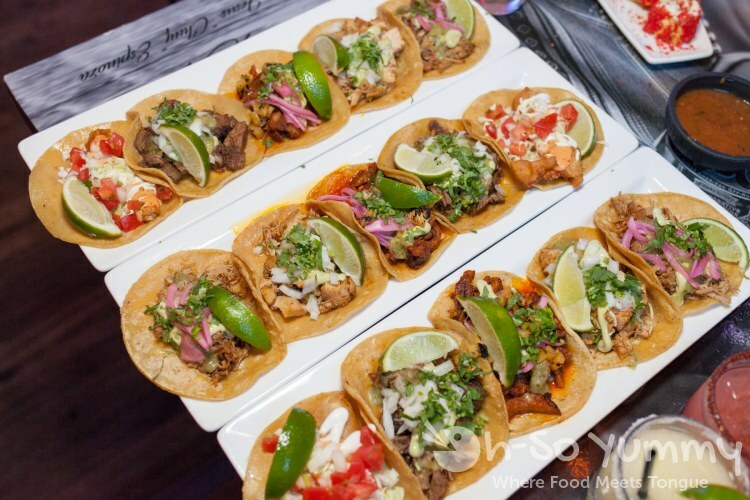 At the most, we've split 30-40 tacos spread across a couple of hours at Tacotopia. You gotta bring your crew if you pick up that package! 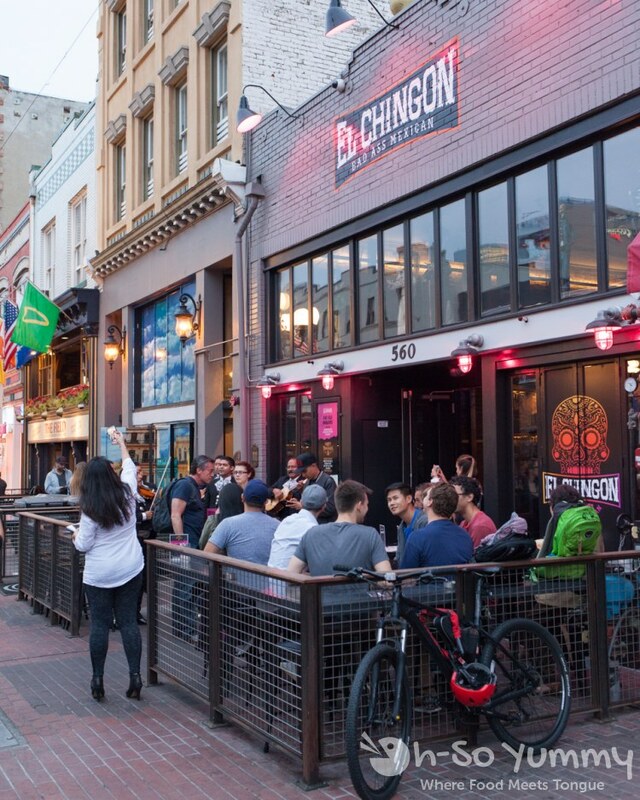 El Chingon serves food much later into the night most spots downtown, up to 1:30am. 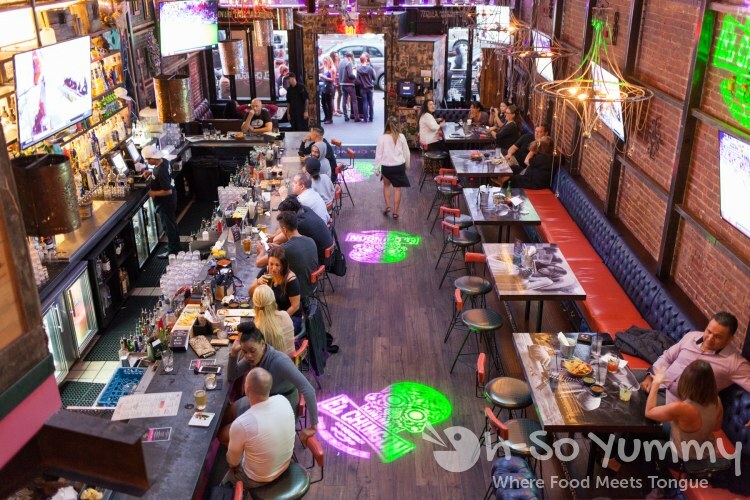 If you have the munchies, this could be the place you've been waiting for! Wow, that place looks amazing! I am drooling over that corn! Gotta check it out soon. Good looking tacos! Place looks badass. i especially like all the writing on the wall... you would enjoy reading those! I can't wait to check this place out - flaming cheetos are my favorite guilty pleasure! 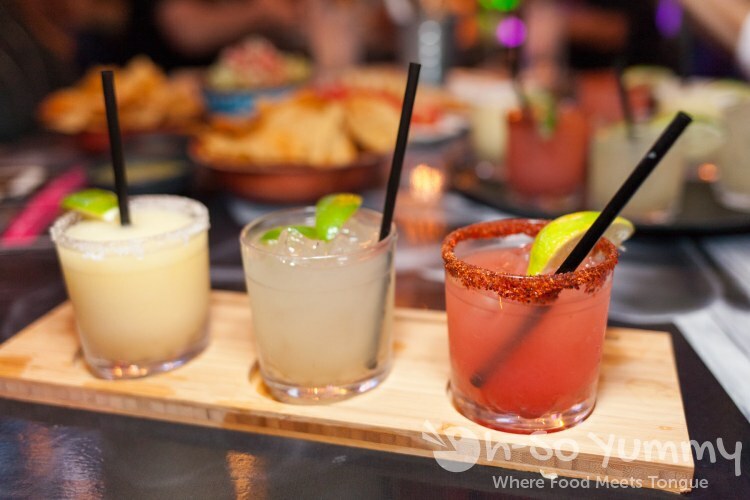 Love the margarita flight idea too; I can never decide which flavor to get!